If, as some pundits claim, gaffes were responsible for Mitt Romney's failed presidential bid, then this surely won't change that assertion. At some point after losing the election to Barack Obama, Romney's camp accidentally leaked a victory website promoting a win that never happened. It's the 'Dewey Defeats Truman' of the digital age. According to Political Wire, the site appeared briefly and was quickly down, but they don't explain how they found it or how long it was live. Still, they managed to take screenshots of several pages, one of which shows a beaming Romney excited about America's "prospects as a nation" and declaring that his priority is "putting people back to work." 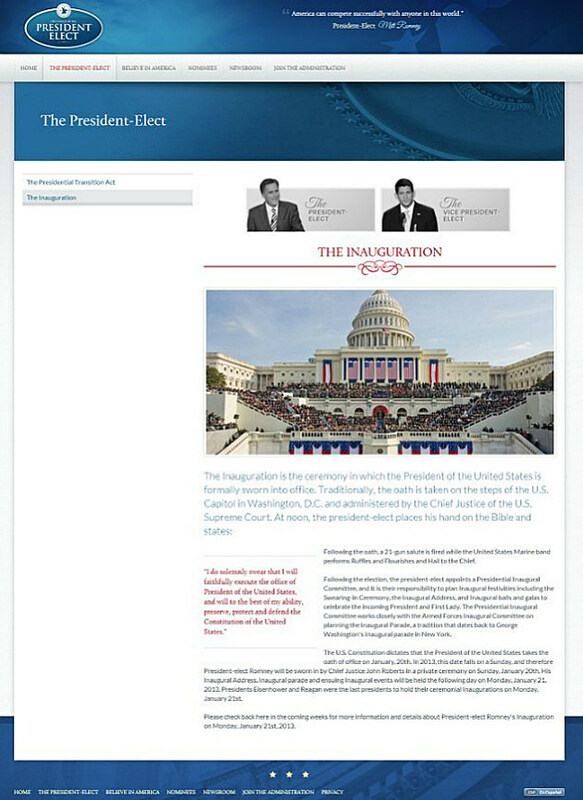 Another page gives information on Romney's never-to-happen inauguration and his vision of a "smaller, simpler, smarter" America. 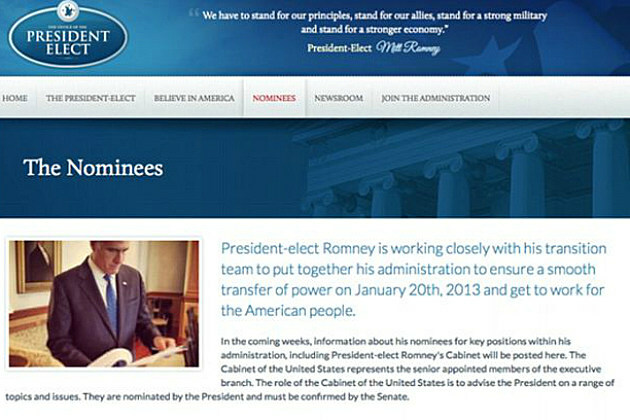 Yet another gives details on the process of electing a cabinet, but makes no mention of specific nominees Romney may have had in mind. 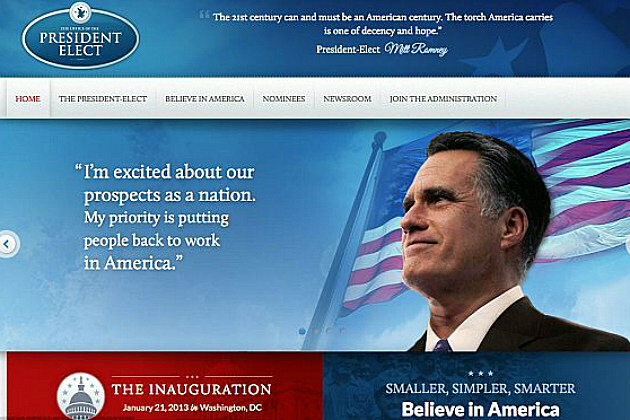 What do you think of Romney's victory website? Is it real? If so, how did it leak in the first place?